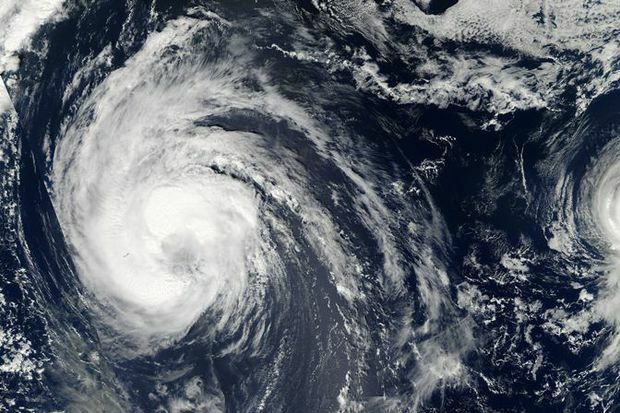 With Hurricane Madeline approaching the Hawaiian Islands (and Hurricane Lester further east in the Pacific), there’s still some time to make preparations to ensure the safety of your family and your home, according to AAA Hawaii. Even if Category 3 Hurricane Madeline weakens, the area is expected to experience strong winds, heavy rain and high surf on Wednesday, according to the Central Pacific Hurricane Center. Hawaii’s Big Island is under a hurricane watch and could be affected by the storm as early as tonight. A tropical storm watch is in effect for the islands of Maui, Molokai and Lanai. This means that tropical storm conditions can be expected within 36 hours. Residents also can follow weather news reports on television and search #Madeline on social media for the latest information about severe weather conditions, according to AAA Hawaii General Manager Liane Sumida. Experts agree that creating a family disaster plan is critical to emergency planning. Decide where everyone should go if family members are at home, work, school or in a car when a hurricane or tropical storm warning is issued. Families also can prepare by securing their home, including outdoor furniture, against heavy rains and high winds. The U.S. Coast Guard also asks boat owners to check moorings and secure vessels. AAA Hawaii suggests assembling a disaster supply kit of water, food, first aid supplies, bedding, and small tools. Be sure to include prescription medications along with formula and diapers for babies. Make an emergency plan for pets and their needs as well. For help in assembling a complete disaster supply kit, visit the American Red Cross local chapter web site http://www.redcross.org/local/hawaii. Residents can also check @HawaiiRedCross. Designate an emergency contact person outside your town and inform him/her of your plans. Be sure to keep your vehicle filled with gasoline and have a supply of cash on hand. Keep a battery-powered radio handy. Protect all windows with shutters or plywood. Check the tie downs on mobile homes. Contact your insurance agent to learn of your coverage for damage caused by floods and high winds.